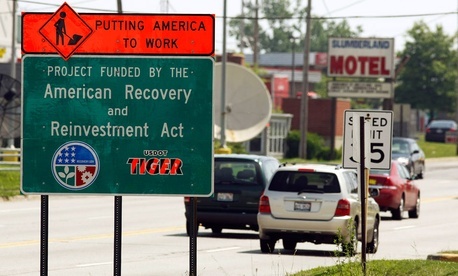 The 28 agencies that distributed stimulus grants under the 2009 Recovery Act have learned largely positive lessons in best practices for accountability and transparency, the Government Accountability Office reported. As part of an examination of website tracking of how dollars were spent in 16 states to create jobs and boost economic growth, auditors found that federal agencies working with states “looked beyond their usual way of doing business and adjusted their usual practices to help ensure the accountability and transparency of Recovery Act funds. “The oversight community adopted a faster and more flexible approach to how they conducted and reported on their audits and reviews so that their findings could inform programs of needed corrections before all Recovery funds were expended,” the GAO report released Friday said. The report for the Senate Homeland Security and Governmental Affairs Committee comes after the Recovery Accountability and Transparency Board’s mission was extended until September 2015 so it could track the spending on relief for victims of 2012’s Hurricane Sandy. As the government doled out what became $812 billion in recovery money, agencies leveraged technology by using Web-based reporting and “advanced data analytics to reduce fraud and to create easily accessible Internet resources that greatly improved the public’s access to information on how the funds were spent, GAO said. Strong support from top leaders. Centrally situated collaborative governance structures. Use of networks and agreements to share information and work toward common goals. Keys to effective website design for tracking spending included establishing a clear purpose, using social networking tools to garner interest, tailoring the website to meet audience needs and obtaining stakeholder input during design, the auditors said. The remaining challenge, GAO said, is for agencies to apply the same analytics to go beyond verifying any fraudulent use of funds to measuring the outcomes from grant spending governmentwide. Working with the Office of Management and Budget and the Recovery Board, auditors for this study examined spending by the departments of Education, Energy, Transportation, and Housing and Urban Development, focusing on recipients in Georgia, Massachusetts, New York and Colorado. Federal managers who read the report in draft generally agreed with its conclusions.